My sister, Elle, celebrated her 11th birthday party recently. Had I been more talented and have more time, I would have figured out a way to send her a Hogwarts acceptance letter. Heh heh. Unfortunately, kids these days are far too smart for that, and I love her too much to mess with her like that. I fully intend, however, to do that to Adam next year. 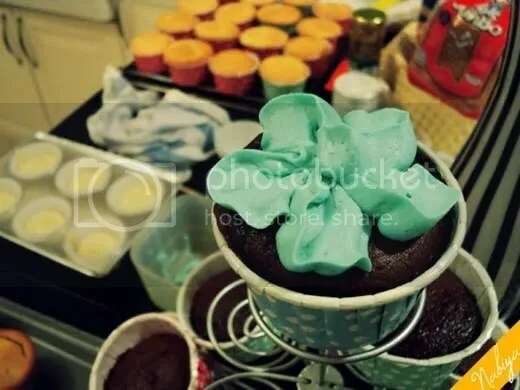 A month before her birthday, she told me that she wanted a blue cake, lots of cupcakes, and an outdoor tea party. I tried, with my limited resources, to do justice to her wishes. I think I might have failed, as it looked nothing like how I’d imagined it to be. 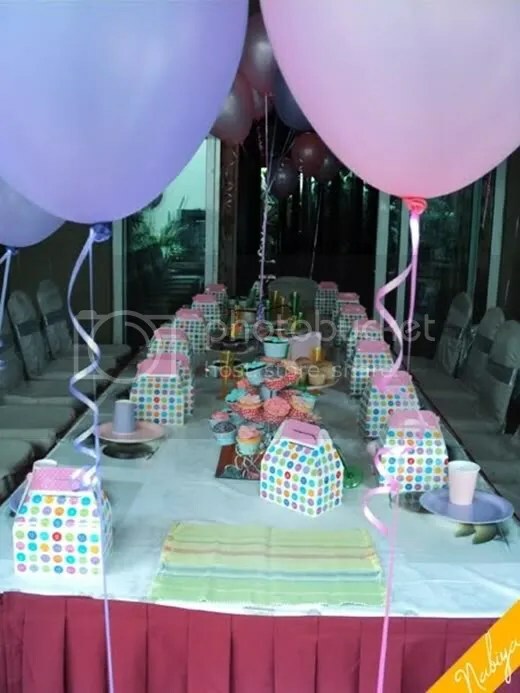 Although this was due to reasons beyond my control (ie humid Malaysian climate, 11 year olds are not conducive to an organised tea party, lack of awesome lanterns, etc) and so I shall simply have to plan WAY ahead of time in the future. 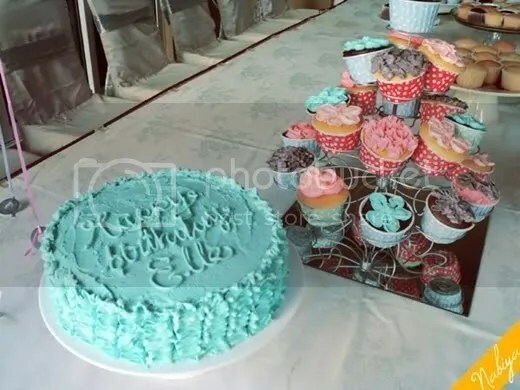 I had envisioned a blue cake sitting atop a white cake stand, vanilla cupcakes with blue frosting, and chocolate cupcakes with plain buttercream arranged on a white tablecloth with blue lanterns and plates and glasses. Sigh. I suppose I need to micro-manage in order to get that realised. It turned out quite cute anyway, and Elle was very happy with the party. I suppose that is the ultimate goal, and we achieved it. 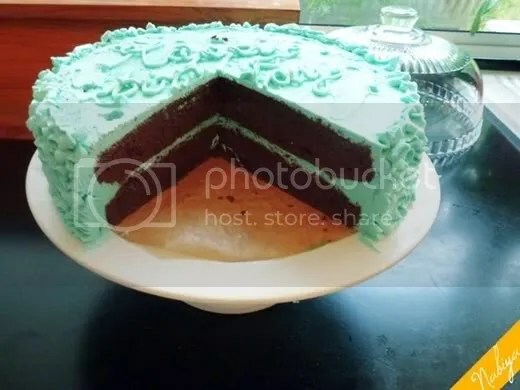 The cake recipe I used was derived from iambaker’s thin mint recipe, but I had no bananas or cinnamon in the house (how silly of me to assume…) so it was simply a chocolate mint cake. In addition to the birthday cake and a dozen decorated cupcakes, I whipped up another 50 plain cupcakes (my white cake recipe, and plain chocolate cupcakes) as Elle wanted to have a cupcake decorating activity. 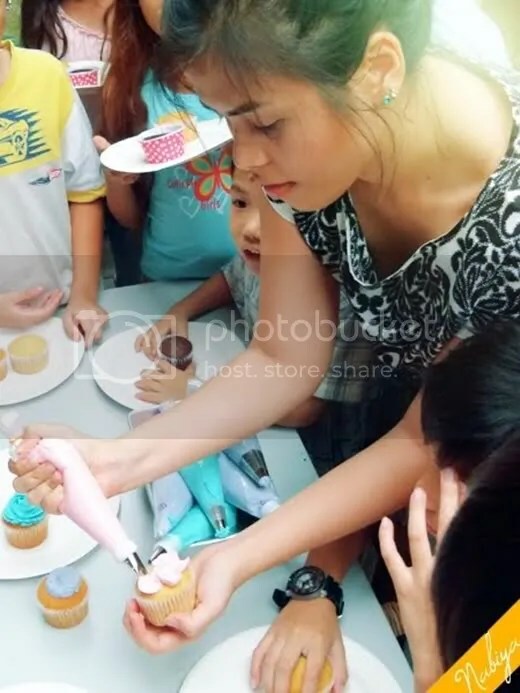 It was quite fun, but I’m not a great teacher… especially to kids who may not be able to grasp concepts such as angles and different decorating tips as quickly. 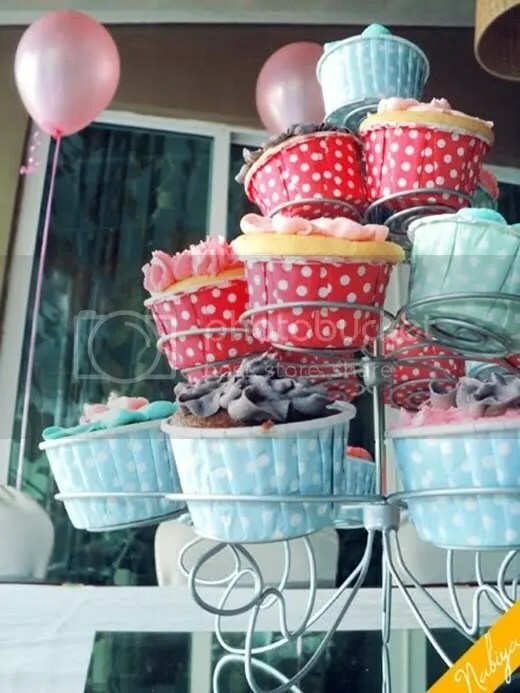 Elle's 11th Birthday party was fabulous. I am glad to see the photos here. 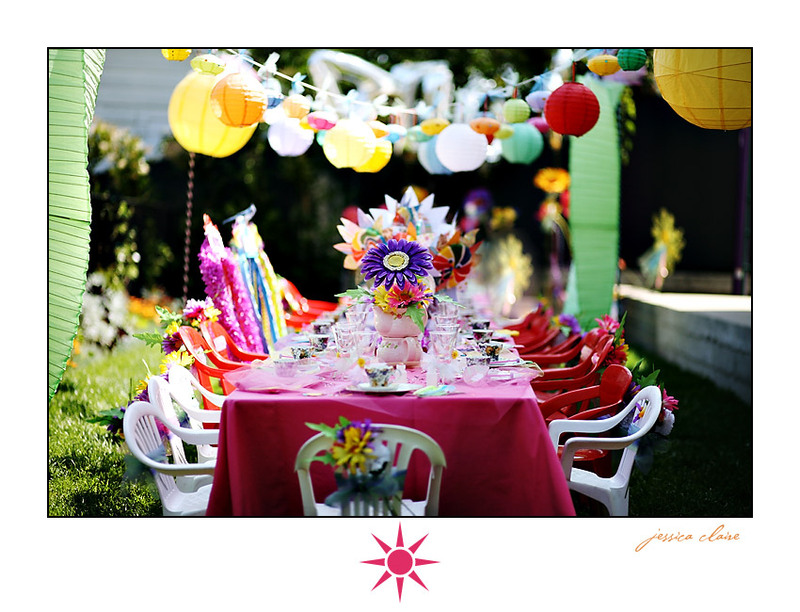 My daughter’s birthday was in last month and I also hosted the fairy inspired party at the event venue Atlanta. For food I had arranged the buffet because I think it is the most convenient way for the host as well as party guests.